April 9, 2019 /0 Comments/by Kenneth A. Goodwin Jr. Spotlight on Ken! 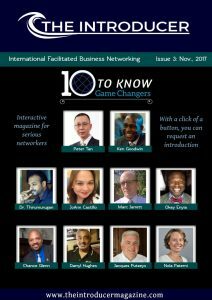 The Introducer Magazine (by Mary Kurek Professional Networking) features Kenneth A. Goodwin Jr. [Jeanensis Capital Markets] among the 10 Game Changers to know. https://jeanensiscapmarkets.com/wp-content/uploads/2017/11/Introducer_GameChangers.jpg 386 759 Dominique St-Germain https://jeanensiscapmarkets.com/wp-content/uploads/2017/08/Logo_Jeanensis_PNG250.png Dominique St-Germain2017-11-28 05:18:552019-04-09 09:20:34Ken Goodwin @ Jeanensis featured among the "10 to Know Game Changers"
W.D. Gann was one of the most brilliant and insightful technical analyst who ever lived. It is very useful for traders to learn more about Gann and his methodology for forecasting the financial markets, which is based on geometry, astronomy and astrology, and ancient mathematics. The more you study Gann, the more respect you have for what he actually did. Gann allows us to make outrageous forecasts that no other discipline can match. The trick? With Gann we base our views on “science.” Gann is not going to win the day with traders who don’t believe in charts. Traders tend to be first and foremost skeptical of anything and everything. I don’t blame them. There is a lot of stuff out there that is just sheer marketing hype. But Gann is not marketing hype. It is real. The more you study Gann, the more you realize the “Truth in the Ticker Tape.” The truth in the charts. The charts don’t lie. A short video tutorial demonstrating the power of Gann analysis. The position of the planets in relation to each other has some sort of energy that can influence the markets. I don’t understand it; I just know from observation that it works. Gann’s ideas came from a scientific study of the planets and how they relate to the markets. It is fascinating stuff. Not everyone will see it that way, but so it goes. I’m still mystified that more traders don’t even know who Gann was. Gann was a genius. No hype. Just hard work and incredible diligence to his craft. And brilliant insight. “A Tutorial to WD Gann Analysis” is a collaboration between Catapult Research and Jeanensis Capital Markets. Complimentary Gann Analysis charts could be requested by contacting either jamessmith@catapultresearch.com or kennethgoodwin@jeanensis.net. January 11, 2017 /by Kenneth A. Goodwin Jr.
“Use Location Intelligence to Combat Financial Crime” This video accompanies the article by Kenneth Goodwin, Jeanensis Capital Markets, and Paul Lashmet, North Castle Integration called, , featured in TabbFORUM. August 30, 2016 /by Kenneth A. Goodwin Jr.
Intelligence – artificial or real – is only as good as the information it uses. Location intelligence helps contextualize a situation and can augment machine learning and other applications of artificial intelligence. How can location intelligence be applied to regulatory compliance initiatives to help combat financial crime? Intelligence (artificial or real) is only as good as the information it uses. A higher volume of relevant information provides deeper context to a situation, resulting in heightened intelligence, increased value, and better outcomes. Location intelligence is a data asset that helps contextualize a situation and can augment machine learning and other applications of artificial intelligence. This post considers how location intelligence can be applied to regulatory compliance initiatives, specifically fraud examination and forensic audit, to combat financial crime. Critical thinking to interpret and communicate the results of an investigation. Points 2 and 3, above, are particularly relevant to this post. The collection and analysis of evidential matter needs a variety of data assets to support a comprehensive investigation. Critical thinking – sometimes referred to as lateral thinking, or thinking “outside the box” – is a disciplined approach to problem solving and guides our thought process and related actions. Critical thinking is required to contextualize patterns and connections across evidential matter. Think about where you are right now. You may be at a specific address. If you have location services enabled on your phone, you are also located at specific coordinates relative to the rest of the world. However, the intelligence of your location is more than that. The neighborhood that you are in can be characterized by demographics and consumer preferences. It also can be described in relation to the proximity of other neighborhoods that may have similar or very different characteristics. The people around you have mobile devices that are interacting with social media, streaming a live event, or making a purchase. Video is capturing movement, and machine sensors are analyzing usage and scheduling maintenance. Location intelligence applies the multiple layers of information that surround you. The better you are able to logically connect these layers of information, the more location intelligence you have. Location intelligence continues to grow as a critical component of analytics, and it is being applied to more and more scenarios across industries through social media, connected devices, distributed systems, the internet of everything, and overlaying all of that with just about any dataset that can be collected. In financial services, location intelligence provides an important and actionable level of information that ties together a customer profile, from on-boarding to know-your-customer and financial crime investigations. Referring back to Fraud Examination and Forensic Audit, above, location intelligence can be a critical component of evidential matter. Party A is a bank customer that, by all accounts, is squeaky clean. Party A executes a financial transaction with Party B from a place Party A has never been to before. Party B registered their place of business as being in an upscale business park, but a satellite view shows that the actual location is in an abandoned industrial area. Party B makes many transactions with Party C that very closely correlates to the sum that was originally sent from Party A. Party C is located in very close proximity to a HIFCA designated zone. [To get a sense of what proximity risk is, look at High Intensity Drug Trafficking Areas (HIDTA) and High Intensity Financial Crime Area (HIFCA). Should Party A be investigated? It is a questionable circumstance, at least. As it relates to forensic audit, location intelligence provides additional layers of information that tighten the interrelationship among auditing, fraud examination and financial forensics in a dynamic way that adapts to political, social, and cultural pressures over time. Level 1 – “The Sniff Test”: A questionable activity or a correlation of circumstances is identified (“Something seems fishy here”). Level 2 – Investigation: A disproportionate amount of time can be spent manually collecting supporting documentation. A good set of data access tools that links relevant data points, including location intelligence, can optimize this process, making it faster and with better quality. 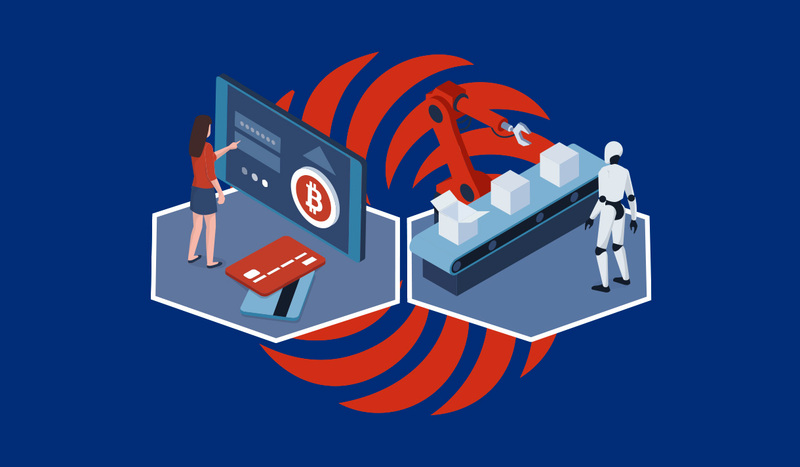 This is article was first published in TabbFORUM “Rebuilding Risk and Compliance for the Age of Oversight”, sponsored by Cognizant. Authors: Kenneth A. Goodwin Jr. of Jeanensis Capital Markets and Paul Lashmet of North Castle Integration. August 13, 2016 /1 Comment/by Kenneth A. Goodwin Jr.